Portiere Floral tapestry shows a scene of flowers with a dramatic red drape. This piece shows a central collection of flowers and coat of arms inspired design of fleur de lis and foliage. 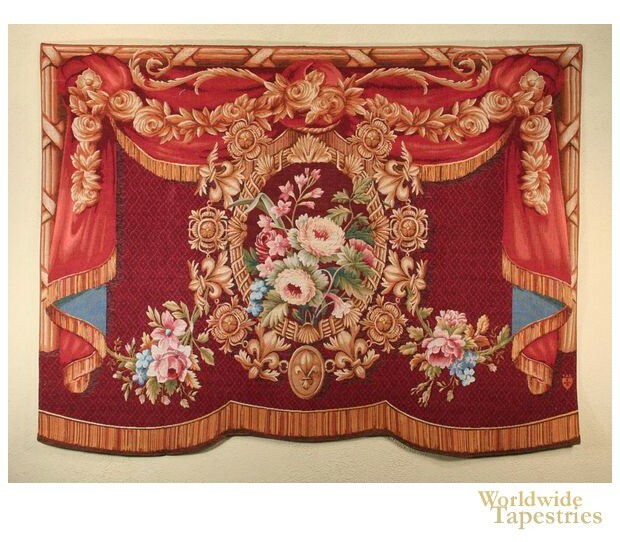 Surrounding this is a dramatic red curtain drape with golden garlands to give a theatrical feel to this piece. This floral Belgian tapestry "Paradise Floral" is backed with a lining and has a rod pocket for easy hanging.